Jerusha Edwards was the daughter of Rev. Jonathan Edwards, a leading American theologian and pastor, and his wife Sarah (Pierpont) Edwards. She cared for David Brainerd in the Edwards' home during the last months and days (May-October 9, 1847) of his illness with consumption (tuberculosis). 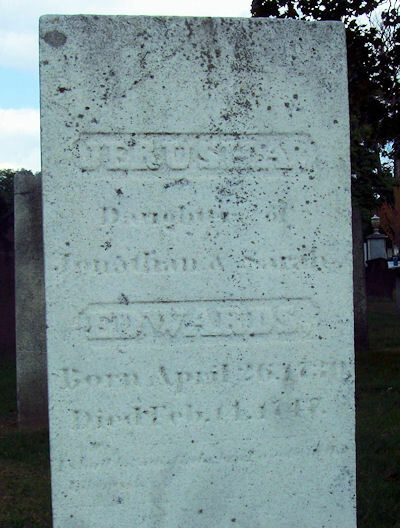 Jonathan Edwards preached Brainerd's funeral sermon, and on February 14, 1748, four months after Brainerd's death, Jerusha Edwards also died (age 17). She is buried next to Brainerd in the Bridge Street Cemetery. Born April 26, 1730 • Died February 14, 1748. 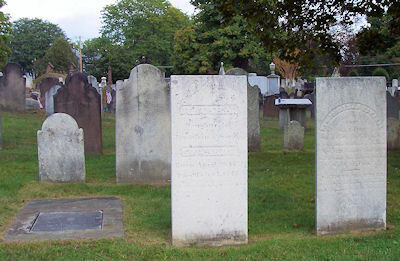 See grave of David Brainerd for directions to Cemetery and gravestones.